Stöder nacken under meditation och restorative yoga. Också underbart mjuk, skön vikt på magen, vrister eller händer under savasana. Organiskt bovete är fyllning och det anpassar sig till halsen/nackens kontur. 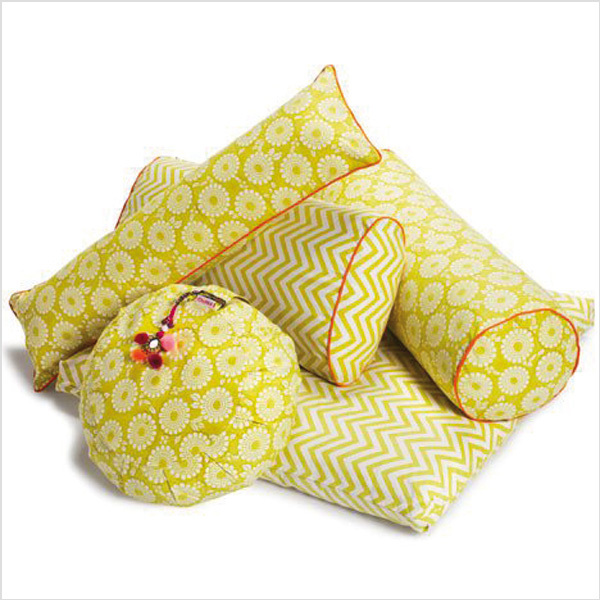 "Citron Marigold Neck Cushion celebrates the auspicious marigold -- an essential element of Hindu religious pujas, wedding celebrations and other ceremonies and offerings. Floral patterns were often carved in jali lattice and relief work, including the stone of the Red Fort of Agra. 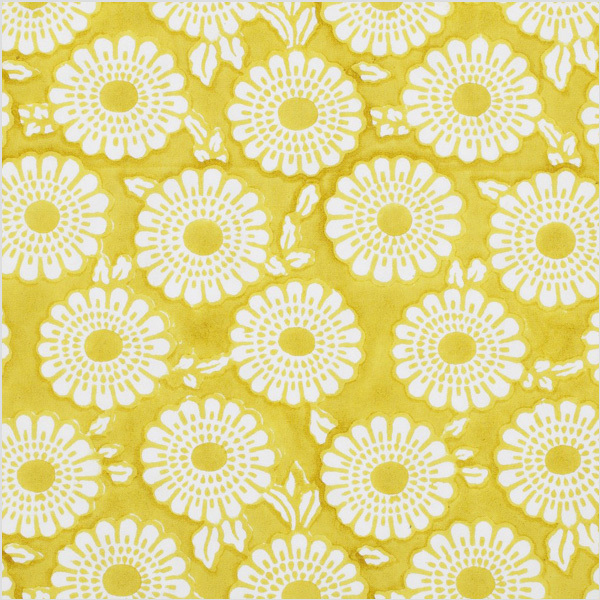 Hand-block printed stylized flower design in a bright, cheerful citron yellow. Finished with illuminating orange detail and a colorful tassel like those seen on the camels of Rajasthan’s great Thar Desert. Divine in any home practice or studio interior. Supports the neck during meditation and restorative yoga. Also wonderful as gentle, comforting weight on your stomach, ankles or hands during savasana." 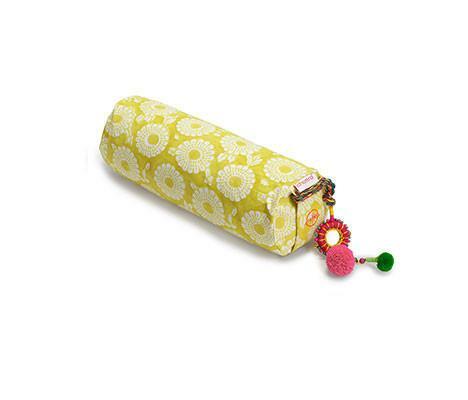 100% cotton zafu cover hand-crafted in India; integrated handle; lined with 100% cotton liner; hand-filled in the USA with US grown buckwheat hulls."